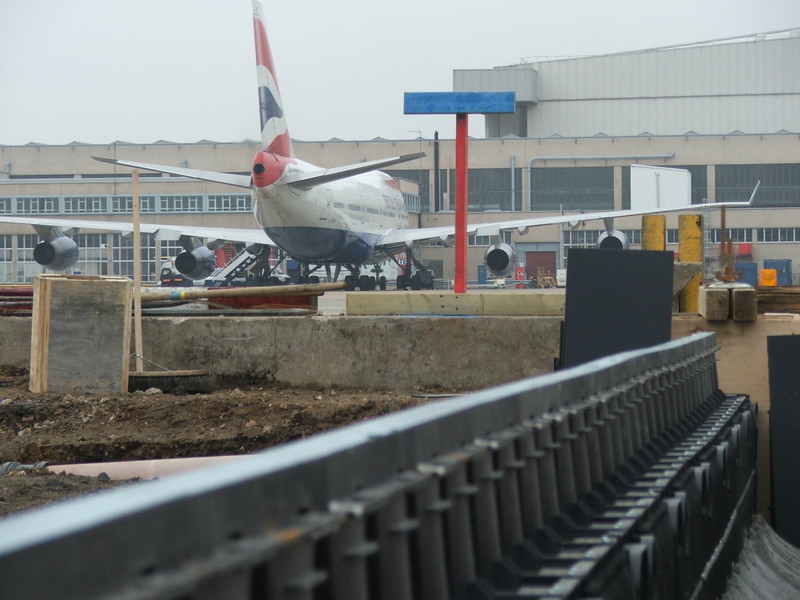 Kerry, Cork and Heathrow Airports rely on Recyfix Hi-Cap – High Capacity Channel – for their drainage needs. 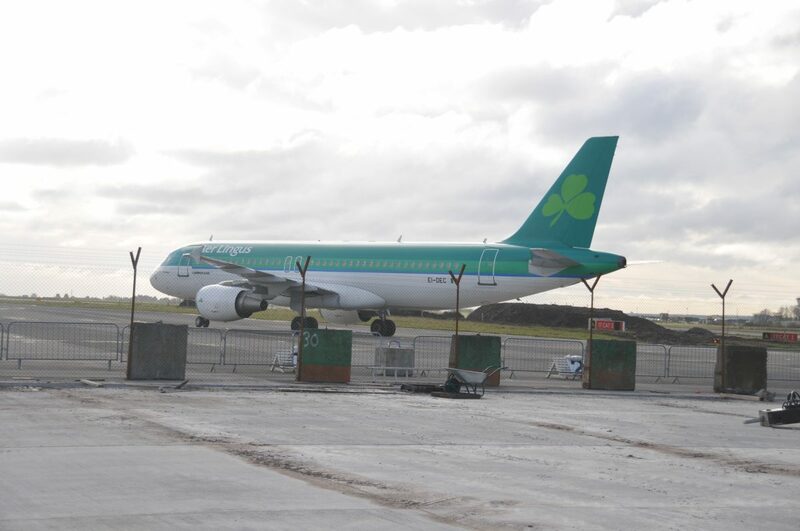 Kerry Airport is the latest airport to install Recyfix Hi-Cap drainage system from Galco for the hanger areas. 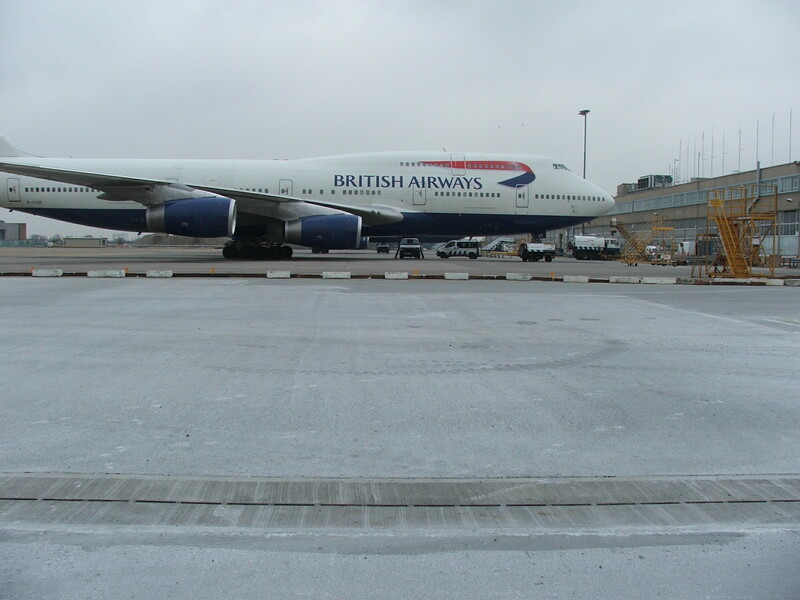 Previously specified for Cork Airport apron extension and Heathrow’s aircraft maintenance area, high capacity channel offers many advantages over conventional channel drainage, particularly as it provides extra storage capacity for days when exceptionally high levels of rainfall occur. The principle purpose of channel drainage is to remove surface water efficiently from the surface and channel it to a discharge point nearby. However this is no longer adequate as the local watercourse and storm-water pipes cannot handle these large volumes and the inevitable result is flooding. 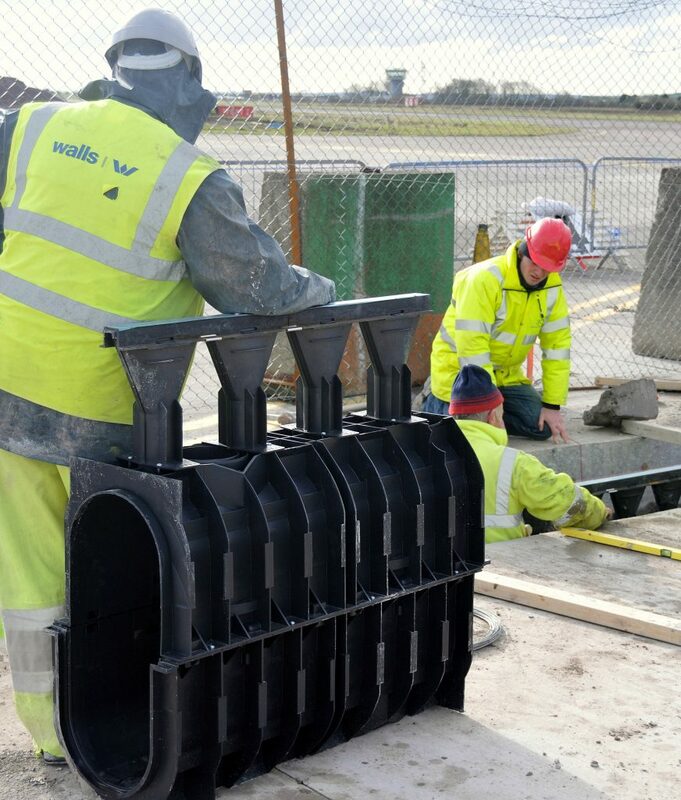 By specifying High Capacity channel it is possible to build in an attenuation system within the channels and allow the outflow to be restricted to suit local conditions. The excess water is then stored within the channel itself and discharged at a controlled rate after the event. In this way it is possible to massively increase the amount of storage capacity on a local level and help to avoid floods in the future. 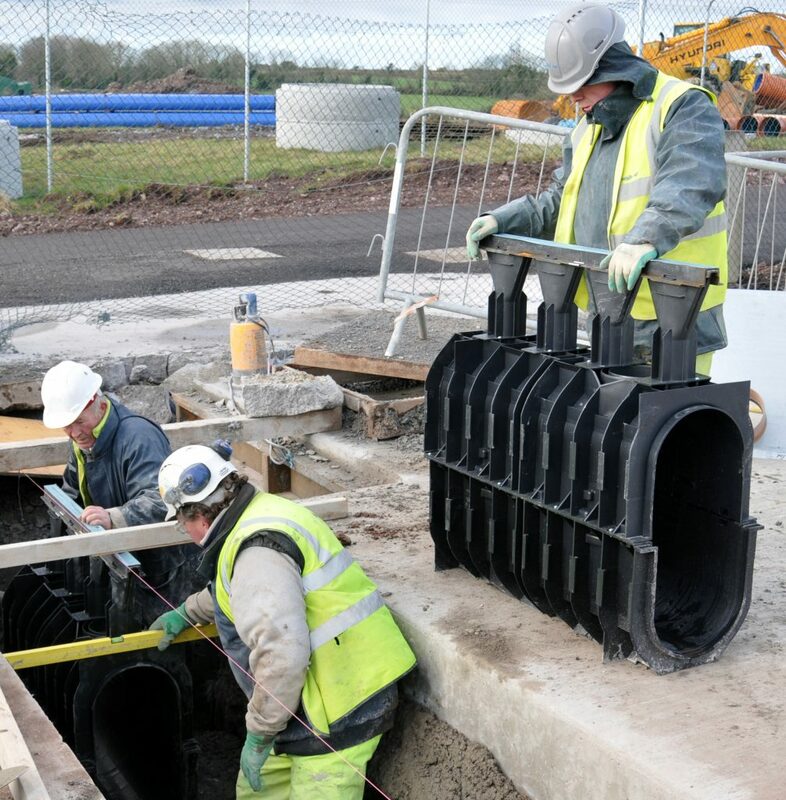 The Hi-Cap drainage system allows specifiers and contractors flexibility in design and installation, potentially reducing the number of channel runs normally required to drain a given area. This in turn reduces excavation, materials and installation time. It also strengthens the surface and makes maintenance much easier. A hydraulic design service is also available from Galco to support this and ensure the potential is maximised. Not only must the area be efficiently drained, the system must withstand the twisting forces exerted by turning aircraft and numerous service trucks. The integrated gratings are made of high-quality SG ductile iron and are suitable for use up to F900 loadings. This makes them suitable for the particularly high strain caused by both airplanes and aircraft tow trucks. These trucks alone can weigh 80 tonnes, so maneuvering aircraft imposes an enormous burden on the newly installed surface drainage system. The channels themselves are made of environmentally friendly PE-PP recycled plastic. They are lightweight and easy to install and all the HI-CAP channels used, including their ductile iron slot component, weighed less than 25kg.